To launch their 2018 spring range, our friends in Sprayway have given us 2 sets of raingear to give away to 2 lucky customers, one set each. The men’s prize is a set of a Santiago waterproof jacket and rainpants and the women’s is a set of an Atlanta waterproof jacket and rainpants. Equally at home on the Camino de Santiago as they are on the Irish hills, the latest range of gear from Sprayway looks good and wears well and is a very good choice for budget concious adventurers as Sprayway opt to use a lot of their own branded fabrics in their outdoor apparel. For instance, though each prize is well suited to irish conditions of driving rain and humid air, through using their own fabric, Hydro Dry, Sprayway don’t need to charge as much as other manufacturers to put their products out. For your chance to win one of these superb sets, read on below and answer a very simple Camino related true or false question. 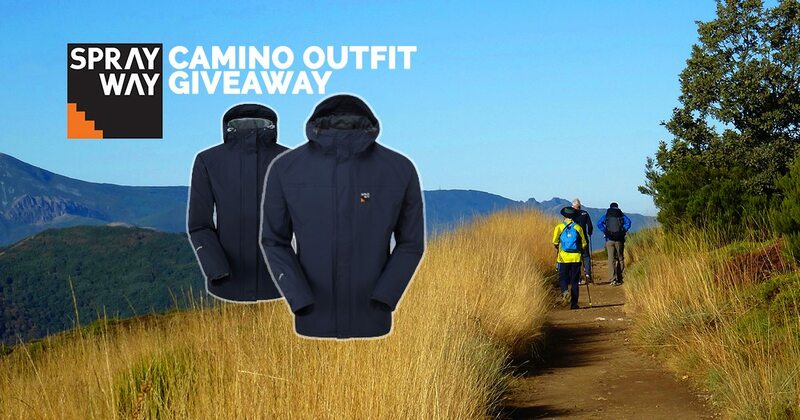 The following are the terms and conditions of the Great Outdoors Sprayway Camino Outfit Giveaway. Your participation in the competition shall be deemed to be your complete acceptance of the terms and conditions herein. •The winners will be announced via social media channels on Thursday, May 24th. •Closing date for all applications is Midnight on Wednesday, May 23rd.